Around and around it goes. Where it stops, nobody knows! 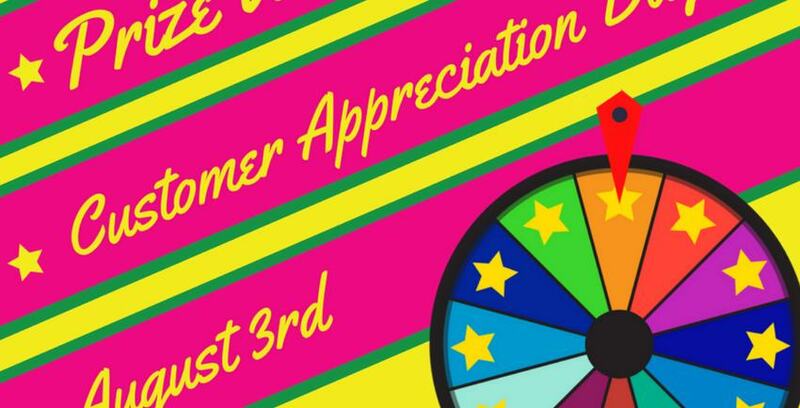 On August 3rd Lockaway Storage on North 281 will be hosting a customer appreciation day where tenants who come in will have the chance to win (storage related) prizes by spinning the prize wheel! Coming up on his 2nd anniversary with Lockaway Storage in September, Geno knows how important it is to let customers know that we appreciate their business. He says that having a fun event to show his and the staff’s appreciation also makes it easier to get to know the very tenants that make it all possible. Plan on stopping by during office hours August 3rd if you want the chance to win some awesome prizes! Geno is looking forward to seeing familiar and new faces, so bring a friend and if they sign up for a unit that day, you get a referral credit and they can spin the prize wheel, too!